Colfer, E. (2001). Artemis Fowl. New York, NY: Disney-Hyperion Books. Artemis Fowl is the first book in an eight book series about a young Irish boy genius trained in criminal affairs and on a mission to restore his family fortune by kidnapping the captain of the fairy army so to ransom her for the fairies pot of gold. To Artemis’ complete surprise the fairies fight back with more than just magic, but also high tech weapons and other magical beings. Artemis Fowl is filled with humor, fantasy, science fiction, adventure, and even mystery. The entire story revolves around Artemis who recently discovered the existence of fairies, retrieves a sacred fairy book, and then kidnaps Holly, an elf (fairies live underground and the term fairy loosely translates to all magical beings), and the LEPrecon (Lower Elements Police reconnaissance division) trying to rescue her. Captain Holly Short works for the LEP. The narration goes back and forth from the Kidnapper Artemis and Kidnapped Holly’s perspective to the magical beings in the LEP, mainly Commander Root (nicknamed “beetroot” for his purplish tinted face when angered) and Foaly (centaur and paranoid computer geek). And Artemis, the cold, calculating, genius criminal mastermind is actually kinder then he lets on. Artemis Fowl II isn’t alone but has a trusty family assigned bodyguard/servant, Butler as his sidekick that is highly skilled in the art of deception and killing. 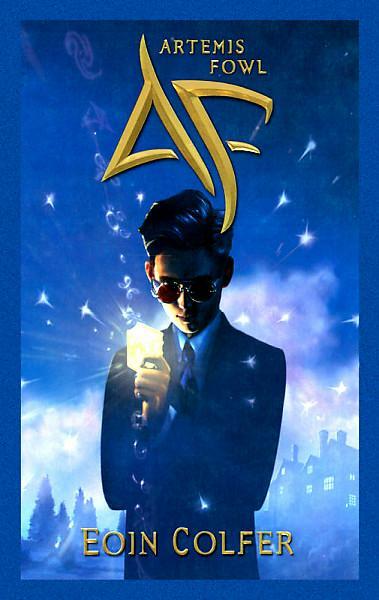 If you enjoy Harry Potter or Percy Jackson & The Olympians, then Artemis Fowl will be a definite enjoyable read. Artemis Fowl in an obvious fantasy with filled with tons of quick paced non-stop action, highly humorous. Artemis Fowl may be less dark or frightening as some may enjoy for a fantasy book, but the reasoning, logic, the likeable anti-hero (Artemis), action, humor and wit, and loveable magical folk (Holly, Foaly, Root) make for enjoyable reads that most will be wanking to get their hands on the next book in the series as quick as possible. And the use of technology by the magical beings as preferred to magic will easily appeal to those that love science fiction books. Also, who doesn’t enjoy new jargon such as Muggles in Harry Potter, non-fairy folk (humans) are referred to as Mud People.